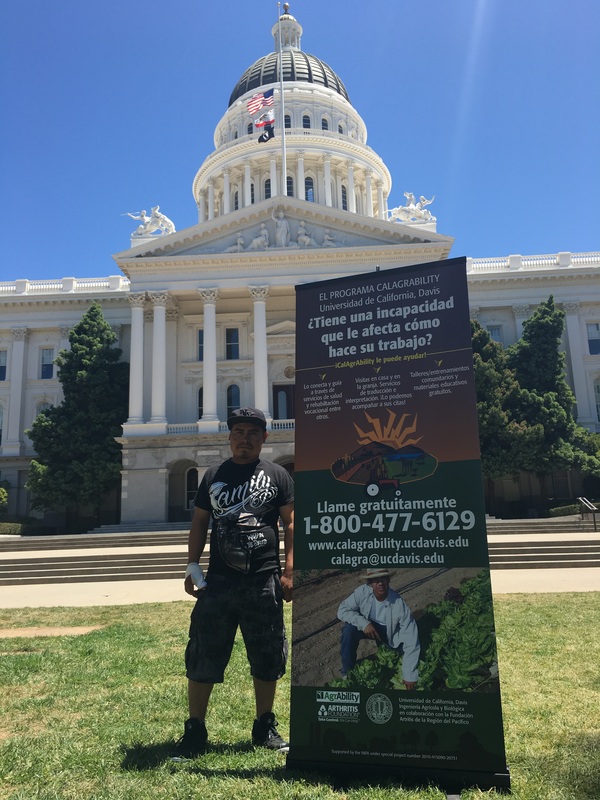 CalAgrAbility met Francisco in 2015 when outreaching with Migrant Education at the migrant housing centers in the Delta area. He has diabetes, but had not seen a doctor for his illness. His diabetes affected his work causing him to be dizzy and unable to keep up with the quick pace of picking pears. A few months before, one of his housemates was hospitalized and was then diagnosed with diabetes. Unfortunately, his housemate did not receive resources and information which could have prevented his hospitalization. This encouraged Francisco to seek resources to prevent his diabetes from worsening. CalAgrAbility guided Francisco to establish a transpiration route and care at Clínica Tepati. At this clinic, he can get his A1C lab readings and medications. A1C is a blood test that determines the patient’s levels of glucose and blood sugar. His first A1C reading was over 8 points which prompted him to join the Diabetes Interest Group at the clinic. It was here that Francisco learned healthy recipes as well as ways to control his diabetes. After a few months, his A1C lab readings dropped to normal levels. At first, the new diet and medication caused him to be feel tired at work, but he slowly became accustomed to this new diet. To this day, Francisco continues to watch his diet to manage his diabetes. He even bought a car for the sole purpose of going to Clínica Tepati. In every decision he makes, he is extremely mindful of his diabetes allowing him to live a healthier and productive life.